With family and friends living in and around Paris, I visit the City of Lights several times a year. But there is one trip that stands out from the rest. 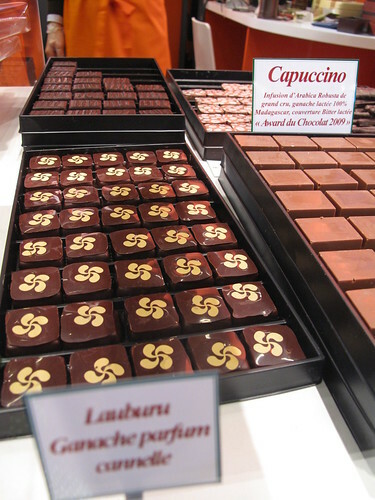 My annual pilgrimage in the fall for the Salon du Chocolat. Yes, I take an almost 5 hour train ride to visit this show. But then again, it’s no ordinary food show. We’re talking almost 14,000 square meters (150,000 square feet!) 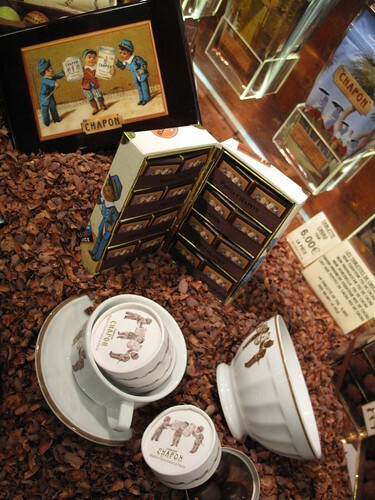 of floor, one stand after another, showing their finest products – the very best in the chocolate world today. Free samples abound. On my train ride to Paris, after going through my endless lists of patisseries and boulangeries that I would visit during the few days leading up to the salon (that I’ll share soon too), I also went through my notes from last year’s Salon du Chocolat. It felt like it was just yesterday – I could still taste the masterful pairing of buckwheat flour and salted butter by Henri Le Roux. 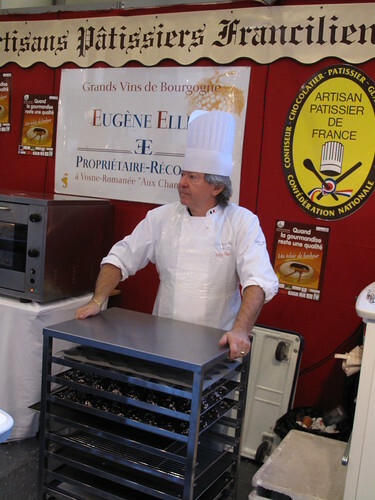 I could picture the hot pink candied nuts of François Pralus’ signature Praluline and wondered if they would be baking at the show once again (oui !). I pictured my favorite discovery last year – Les Gayettes du Pays Noir from Belgium, as well as the meringues as big as rugby balls from Le Grenier à Pain, hoping they would both return to the show this year (unfortunately not, 0 for 2). For the 15th year, the show was just as grand and impressive as previous years. I love going the very first day before the masses arrive, when the chocolate makers manning the booths themselves are more than happy to chat and explain their creations – from where the idea came, with what ingredients they used – and to offer you a sample… or two. I tasted Le Roux’s (he’s below center left) new pumpkin seed praliné (divine), Sadaharu Aoki’s yuzu macaron shell (that’s him below right), Mazet’s orange clove Praslines (new addition, special for Christmas) and cotton candy flavored marshmallow from Les Délices d’un Gourmand. 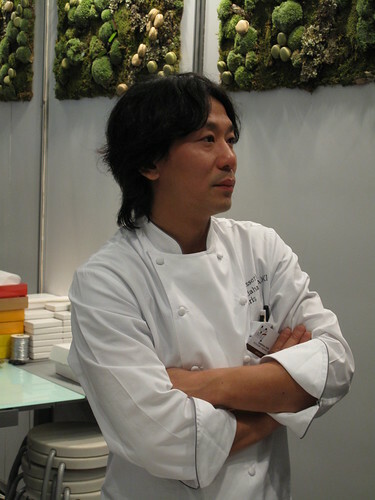 I compared ganaches from Aoki (sesame), Swedish MÄLARCHOCOLATERIE (cloudberry; blue cheese), Servant (tonka) and Joel Patouillard (Venezuela vs. Java). The chocolate with cheese was surprisingly pleasant – it will still more about the chocolate, rather than the cheese. 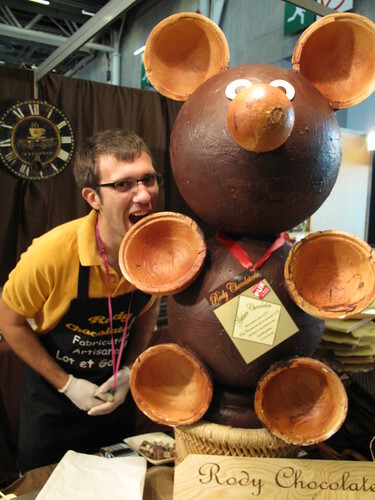 I also had a laugh or two with Teddy of Rody Chocolaterie. 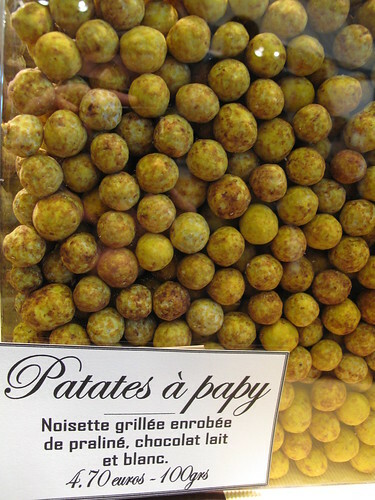 Combining his name with that of his grandfather Robert, Rody was born – and with it, a product especially for Grandpa Robert, Patates à Papy (small chocolate balls resembling potatoes). Don’t worry, he didn’t really bite the chocolate bear below. I also had great fun chatting with Philippe and Sylvie Dura of Nougaterie des Fumades (another from last year’s roundup). 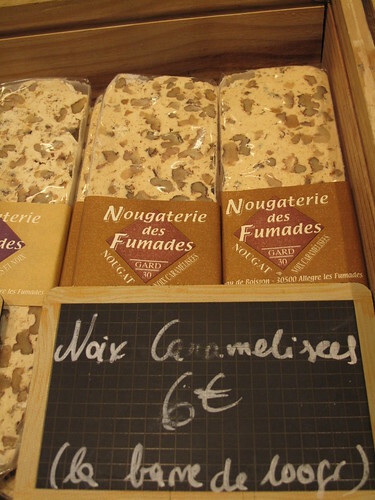 They told me about new recipes people around the world are trying with their nougat – all different types of meat cooked down with nougat, even fish too. I have yet to give that a go. I tried their newest flavor made with caramelized nuts, and it’s excellent. * Franck Kestener – First place on my list this year. Kestener is a soft-spoken, friendly guy, also very chic – take a look at his website! I’ll be featuring his chocolates for sure again on MyKugelhopf, and sharing more about the family history behind the company (5th generation). When I tasted one of his bars at the show, I had an immediate reaction – it brought me back to Paris years ago when I first discovered the very same bar. My sweet memory bank started ringing, telling me this was long ago a favorite of mine. It still is. Taste his Perle de Lorraine, a beautiful green hexagonal chocolate with 3 layers: mirabelle caramel, mirabelle pâte de fruit and a light, crunchy praliné. * Philippe Pascoët – For the Zürchers reading this, you’ll be happy to know that I tried to convince Swiss Pascoët to open up a boutique in Zürich. And in 2011, it may just happen! 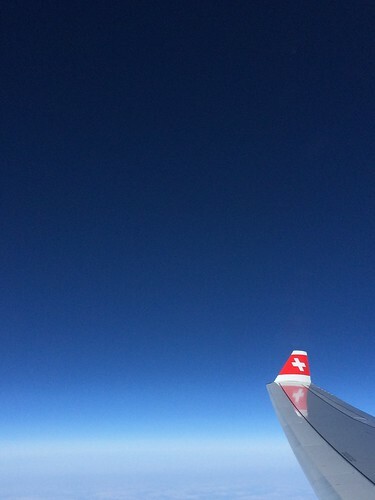 Until then, Geneva and Carouge are not too far. For you Parisians, he also just opened up a new shop on rue Saint-Placide. 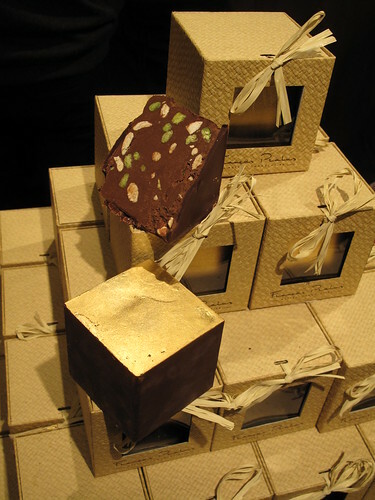 Be adventurous and try his exotic flavored chocolates, made with Absinthe, licorice, Champagne, coriander or even cigar. 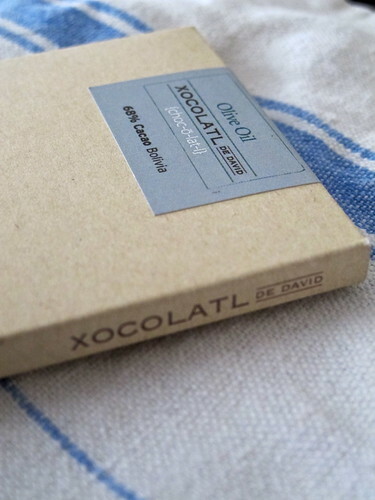 Pascoët gave me a sample of the chocolate called L’Adrien, created 4 years ago for his son’s birth. I was in luck; it was a perfectly crisp praliné, nothing too exotic for my sweet palate. 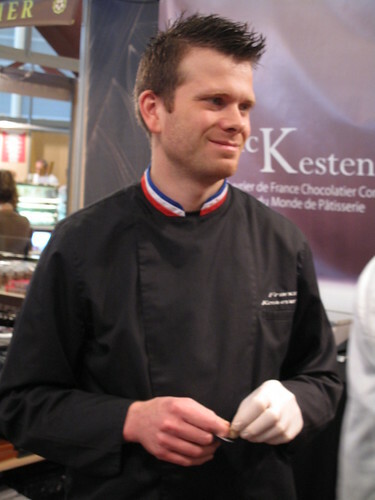 * Jacques Bokel – twice in a row on my Must List, Bokel’s massive squares of praliné (2″ x 2″) are no dainty chocolate. I was blown away by his almond with fleur de sel last year, and made sure to come home with some this year. 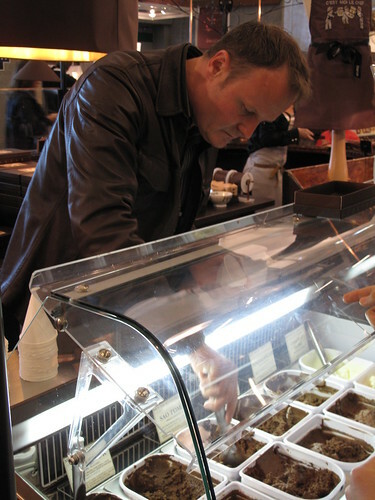 He has a huge stand and there are tons of varieties – ginger, cinnamon, different nuts, rum raisin, etc. Be sure to try a few. * Christophe Roussel – Bretons are not the only ones who get to visit Roussel’s boutiques, now that he has also opened up in Paris on the rue du Champs de Mars. 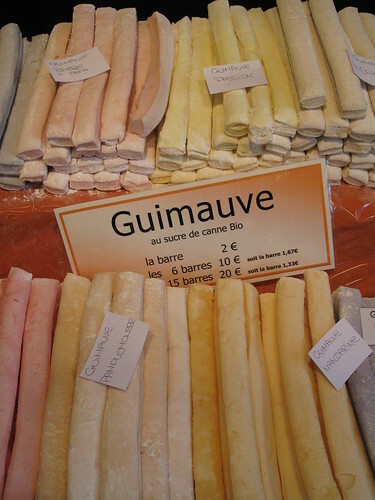 Next time I go to Paris, I’ll be there, and will once again have trouble deciding between the mini marshmallow cubes in bright fluorescent colors (pink and blue) or the equally colorful macarons in fabulous flavors like cherry/piment d’Espelette, daiquiri/lime and lavender/apricot. 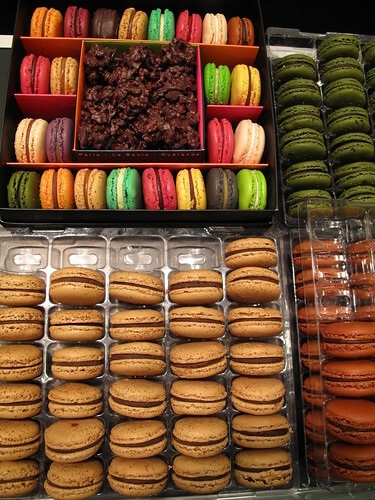 I brought back a small box of 6 (that disappeared very quickly), including my regular go-to flavors, salted butter caramel and coffee, as well as the caramel macaron dipped in chocolate (wow), passionfruit/tarragon (wonderful), raspberry and cherry/pistachio. His macarons are simply outstanding. As far as my favorites for esthetic reasons ? 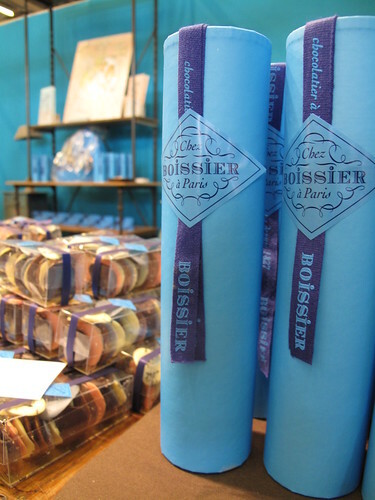 Boissier’s gorgeous blue packaging is always high on my list. As is Patrice Chapon’s beautiful and elegant packaging (don’t miss his chocolate mousse bar! You can see him serving up above). 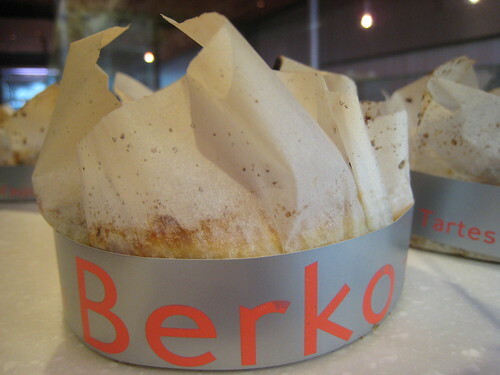 And you can’t get more colorful, tastefully so, than chez Sadaharu Aoki and Christophe Roussel. If their products weren’t so divine, I would still recommend a visit to their booths just to please the eye. In this sugar-laden article, I have only merely touched upon my discoveries at the show. 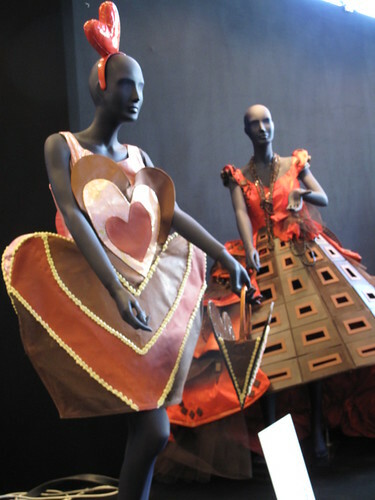 Chocolate chouquettes and cannelés, éclairs, chocolate themed cookbooks and plenty of educational panels to read, exhibits and sculptures, chocolate dresses on display from the highly exclusive fashion show, not to mention dried fruit, spices and the obligatory foie gras too. 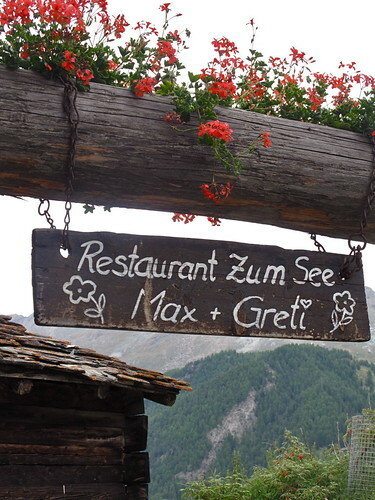 There?s surely something for everyone. You’re guaranteed to find a new favorite treat of your own, to have your taste buds awakened and potentially sugared out, and to not leave empty-handed. If you go to the show this weekend, be sure to let me know what you taste and love! Wow. Wow. Wow. Do you know how lucky you are? 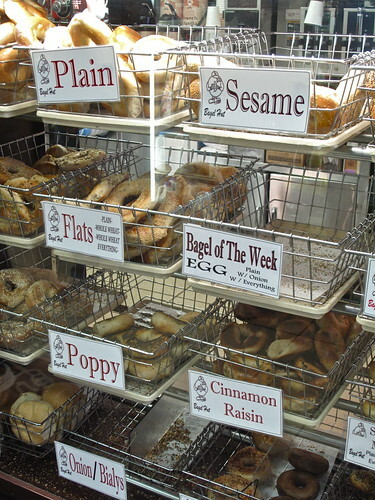 Now if only we could have something like this in our neck of the woods…. Is anything better than chocolate? Really? Aaaahhhh, lucky you ;-P! Thanks for sharing! Chocolate with blue cheese! Yes! I was so skeptical but then I tried a stilton truffle at Paul Young in London and it was excellent. 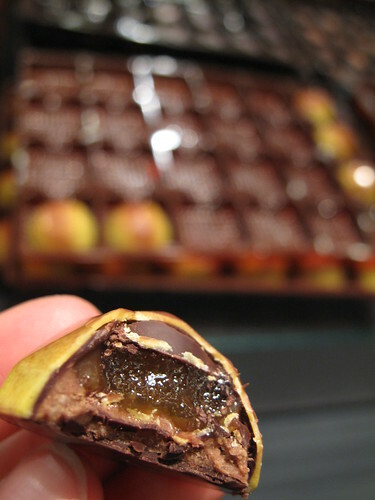 The tiny hint of sourness set of the dark ganache perfectly. Andrea, I absolutely do – I am so so lucky, and I thank the travel and chocolate Gods every day! 🙂 Is anything better than chocolate you ask? I really don’t think so, as a matter of fact! Lani, sorry for sugaring you out! 😉 Thanks for the great comment, so glad I could take you to the salon with me. You said it best – I walked that show, every inch of it and made sure not to miss a stand, nor a taste! Rosa, thanks! And to you too, bon weekend! Romy, you are an experienced cheese truffle taster! 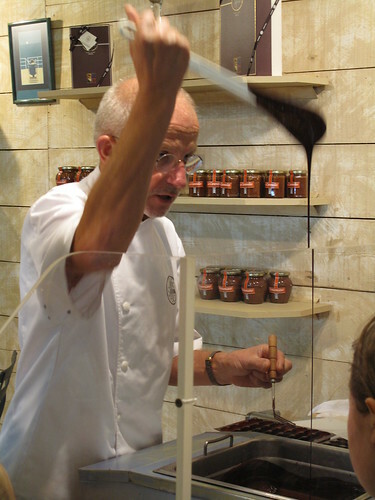 Stilton truffle in London – ah yes, I remember your chocolate tour, so cool! I’ll bring a bigger bag to the show next year for you, haha! Superbes, les photos… comme d’habitude! Ok Kugelhopf, one of these days when I can get away from my husband and children I would love to tag along with you to this show. I am all about chocolate. Hense the not so skinny waist line, but I life would not be life without chocolate. This is show is my definition of Heaven well almost because I don’t want to be Sacriligious but it is pretty dang close. as iain says (I think! ), great shots, as usual! complimenti! my chocolate-addicted friends will appreciate this! Amy, I have years and years of training under my belt – serious sugar experience, haha! You’ll have to join us at the Salon tour 2010 – so you won’t have to imagine what it’s like anymore – you’ll be there!! What an outstanding collection of information – this list is amazing! I almost feel like I was there myself to experience this chocolate overload! 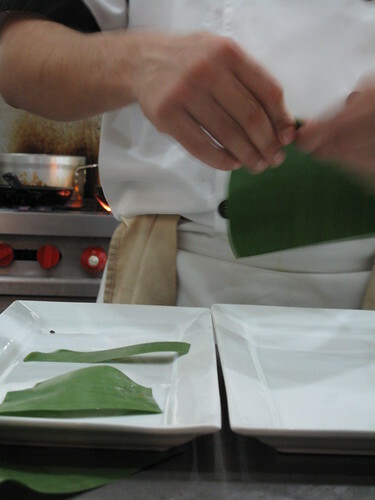 I am intrigued by some of the flavours you mention from Philippe Pascoët – absinthe, licorice, Champagne (great choice! ), AND cigar??!! 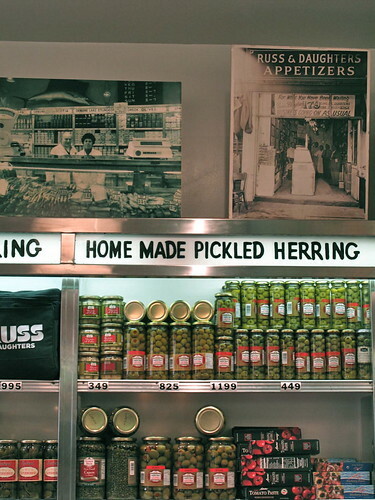 What a mouth-watering collection from this fine purveyor as well as the others on your list. 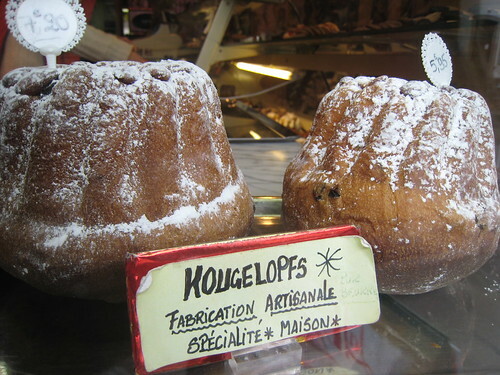 I can’t wait for your carnet d’adresses for your favourite patisseries and boulangeries in Paris. Drooling. All. Over. My. Keyboard. Thanks for taking us along for the ride!! 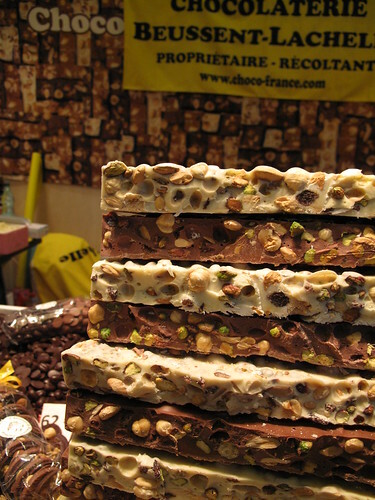 I can’t believe I have never managed to get to Salon du Chocolat – though my waistline is probably better off because of this. 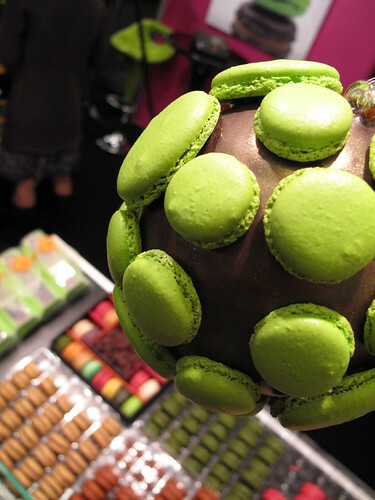 That chocolate sphere covered in macaroons is heaven. 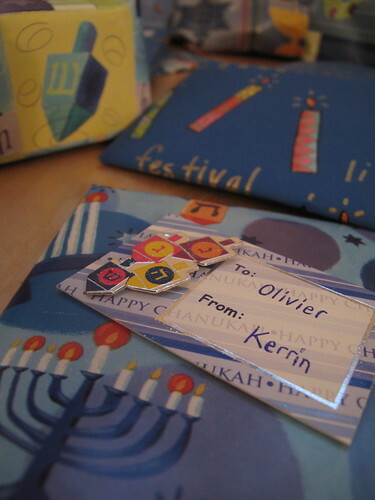 Hi Kerrin, merci pour votre email! that was v nice of you. Oh i would love to go to one of this chocolate event, but now I am back in Indonesia and we don’t really celebrate chocolate like the rest of the world, pity really. The cane sugar sticks reminds me of nougat, i thought they were flavoured nougat at first. The macarons look devilish! love the photos, oh really wish i can go next year. Enjoy and pls write about the experience this year, love to read it! Kerrin, I must say, this is such a comprehensive list, even though I know there were hundreds more at the Salon du Chocolat event! Thanks for taking me for a ride around the chocolate heaven. Can’t wait for more posts! Mardi, thanks for coming along on the ride! Better wipe off that drool from your keyboard before sparks start flying! haha. Lady Macaron, no chocolate celebrations in Indonesia? Oooh but there’s so much other good stuff! (Hey, have you seen my ABC list of Indonesian fruit? Here’s the page of my Indonesian articles if you want to check it out: //mykugelhopf.ch/category/grab-your-passport/miscellaneous-travel/indonesia/). Never tried cane sugar sticks, sounds pretty sweet to me! Oh my gosh. I am so so jealous. That sounds incredible. All of it sounds delicious but the daiquiri/lime macaron really won me over. And cotton candy flavored marshmallows – ridiculous! I love this post! It takes me back to Paris and all the wonderful chocoltiers. 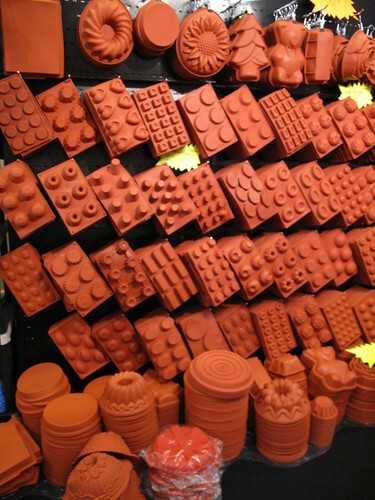 I will have to book my next ticket during next year’s Salon du Chocolat. wow this is simply awesome!! Do you know if some of the chocolates you mention are exported to the USA? foodloverkathy, thanks so much. I’ll see you at the Salon in 2010 then! 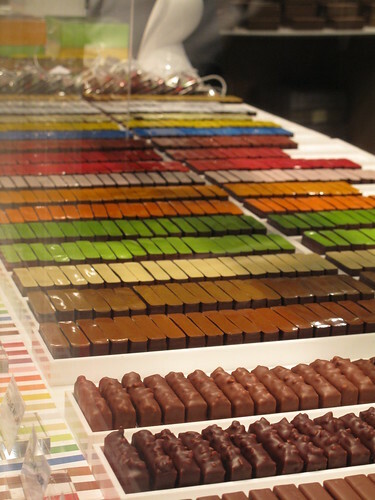 As for chocolates exported to the US, there are some chocolatiers that have their products in shops in the US already (like Pralus). 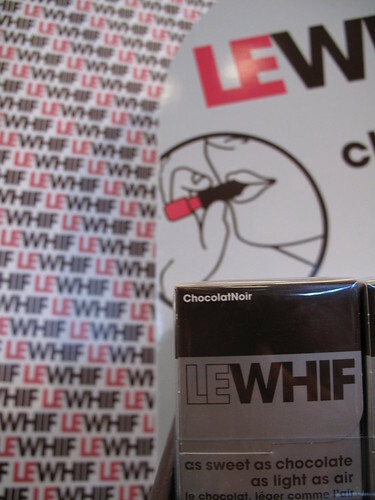 Best to check the websites of the chocolate you are interested in and see about international shipping. What caught your eye? Thanks for the info 🙂 If i would have planned better i could have gone to NYC for the show. 🙁 , but Paris, is way better! Wow – this show is the real deal. It seems totally different from the New York Chocolate Show which is geared towards consumers or “prosumers”. Great photos and descriptions BTW. It is interesting how the same people put on these shows – they must have spent some time figuring out what works where. astheroshe, wow a pastry chef to be ! You’ll have to let us all know when you open that shop of yours, of course ! Lots of good luck to you ! Niko, oh yeah, the Salon is definitely the real deal – a whole world away from the NY show. The same founders behind it all, but different agencies running each show. Different approaches, different audiences, and most of all a different culture and mindset about chocolate. Very very different indeed. Looking forward to seeing your coverage of the NY show for sure… thanks for the shout out to this post on your blog. I’m going to Paris in sept to be a tour guide for two days for a couple of friends on their first visit and I’m now going through your blog with a pen in hand and taking up notes on the various addresses. Your blog is just soo much fun. 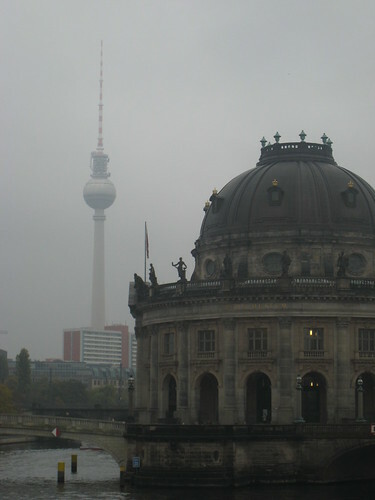 without intruding on my friends’ tourist route I will try and get shops of my interest in the itenary. They will then become my friends places of interest as well.Thanks again for all the wondeful tips. Thanks Kerrin.. She bought her ticket today and is going on the weekend because she has class Friday….Wants to see the fashion show that we see in states on tv each year..studying while tasting , international business such hard work….. Thank you so much for the detailed review. I’m tentatively planning on going to the New York show, and several of your “must visits” will be there. Love the insider knowledge.